ATHAK PRAYAS TECHNICAL EDUCATIONAL AND TRAINING SOCIETY is located in ujjain Madhya Pradesh . ATHAK PRAYAS TECHNICAL EDUCATIONAL AND TRAINING SOCIETY is registered as a Society at Ujjain of state Madhya Pradesh with Ngo unique registration ID 'MP/2010/0030531' . 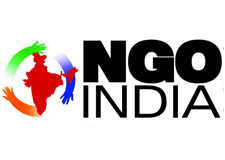 The NGO registration is done by Registrar of Societies with registration number 07/33/01/07274/08 on the date of 09-01-2008, Its parent ORganaisation is PaulFoundation. The Chairman of ATHAK PRAYAS TECHNICAL EDUCATIONAL AND TRAINING SOCIETY is arpit gupta and Chief functionary officer is arpit gupta. we started celebrating friendship day with AIDS patients to make everyone aware about them, with the time now large no. of youth and peoples also participate with us. also our student friendly interschool events which we organize specialy for such govt. school where the students are from poor families , now big private schools also came in front with us for this segment devlopment.